Low grain prices are forcing farmers in South Australia to warehouse their grain until the market improves. An oversupply of feed barley domestically, the global financial crisis and a good harvest in the Ukraine and Russia are the reasons being blamed for the price falls for feed barley and wheat. Farmers say these prices combined with high input costs will see them struggle to make a profit. Tony Parker from Wharminda on Eyre Peninsula. "I'm sitting on the harvester and I notice Incitec Pivot announced a $600 million profit, up almost 200 per cent, AWB announced a $60 million profit, just seems to me, everybody that supplies us or we market our grain to are making good profits," he says. "I'm not making a profit." Richard Way from Port Vincent is taking the 'wait and see' approach hoping the market will improve. "I just received an SMS from my grain marketer and feed barley has just dropped $10 dollars a tonne, so there's no great incentive to sell at these low and dropping prices." "There's no way there's going to have any young farmers left in South Australia if we continue to have prices this low, it seems ABB and AWB make big profits and the farmer makes nothing anymore." "That's a damn fine looking sheep you have there, if I had any money I'd buy it a sherry." Two top executives with Toronto-based Northern Ethanol Inc. have reportedly resigned after the company failed to pay their wages and other expenses, according to documents filed with the U.S. Security Exchange Commission earlier this week. "Effective Nov. 3, 2008, Mr. Steven Reader resigned his position as chief operating officer of our company," the SEC filing said, "due to the non-payment of wages and expenses owed to him. On Nov. 12, 2008, Mr. Reader left the company." The SEC document also said that Chief Financial Officer Richard Smith resigned his position effective Nov. 17, "due to the non-payment of wages and expenses owed to him." The Community Bank, based in Loganville, Georgia was closed by regulators on Friday, the Federal Deposit Insurance Corporation said, making it the 20th bank failure of the year amid the ongoing financial crisis. The question on everyone's lips is who's next? The vultures are circling over Citigroup, whose value has slumped from $180 billion to $20 billion in the last twelve months. Shares of Citigroup Inc. fell as much 24% Friday, before recovering slightly to close 20% lower at $3.77, less than a year ago they were $35.29. Citigroup's share price has now dropped more than 60% this week alone, and analysts are starting to wonder just what the future holds for the financial-services company. This season's Argentine wheat crop is struggling with cold and dry weather hurting yields, analysts say. Widespread frost in the Pampas this week has caused significant damage according to the Buenos Aires Cereals Exchange. The exchange cut it's production estimate Friday to 10mmt, down 500,000mt on last week's estimate and 1mmt down in a fortnight. On Thursday, the Agriculture Secretariat forecast this season's wheat output at 10.1mmt, down sharply from the 16.3mmt produced last season. Plantings were lower for the 2008/09 crop due to dryness, and the crop has struggled with dry conditions all season. With 12.4% of the crop harvested so far, yields are averaging 19.1% below last season according to the Buenos Aires Cereals Exchange. EU wheat futures closed lower Friday, in quiet trade, with Paris January milling wheat futures ending down EUR2.25 at EUR133.50/tonne. London January feed wheat futures closed down GBP0.75 at GBP93.50/tonne, with just 52 lots traded all day. The market seems to be developing a stand-off with sellers reluctant to commit to what they see as low prices, and buyers content to job along buying hand-to-mouth. In the UK odd pockets of support keep popping up when exporters need bits and bobs of spot wheat to fill a boat. This can see spot prices up by a few pounds on a localised short-term basis for those with wheat of the right quality to sell. Whilst export activity remains fairly brisk this will help support the market. It should be noted however that all of this is old business being fulfilled. New sales are very hard to come by with Russia the most likely candidate to drop its pants sufficiently low to get the order. Tunisia bought 75,000mt of optional origin milling wheat and 42,000mt of durum wheat Friday. Both lots are likely to be fulfilled by either Russian or Ukraine wheat. The Philippines also bought wheat this week, taking 74,650mt of feed wheat from Glencore (probably Australian). Egypt bought 30,000mt Russian wheat Friday at $160/tonne, $21 below the cheapest French offer and $22 below the price of US wheat. Jordan and Syria said Thursday they had also booked Russian wheat. Interestingly, Egypt had originally said it was in the market for 55,000mt wheat this week. Even at a $21/tonne discount to European wheat it was still only prepared to book 30,000mt, scaling back it's buying to see if prices would fall further. Corn prices took the brunt of the bearish pounding on ag futures Friday afternoon, slumping to new lows as bearish fundamentals attracted speculative selling. Prices fell to fresh 13-month lows burdened by a glut of global feed grains including feed wheat and barley. For once, fundamentals took centre stage ahead of outside markets. Improved US weather forecasts for the weekend should aid final harvest activity. Meanwhile, Argentina may get some much needed rain over the weekend. Talk of continued problems for the ethanol industry also harmed corn. With VeraSun filing for chapter 11 bankruptcy protection and crude falling below $50/barrel, on top of the problems of the US auto industry the whole viability of the ethanol industry is in question. Wheat sank on spillover pressure from tanking corn with December breaking through the psychologically important $5/bushel level, closing at $4.99, down 55 1/4 cents on the week. Although wheat has been trading sideways, Friday's decline doesn't confirm the market has broken out of its trading range, said one analyst. CBOT Dec wheat closed at $4.99 per bushel, down 12.75; KCBT Dec wheat closed at $5.34, down 14.75; MGEX Dec wheat closed at $5.86, down 13.5. Crude oil and the volatility of the stock market heavily influenced the soybean complex. Still, attempts at bargain buying accompanied by weather worries limited the slide in soy. Dryness in Argentina is leading to concern about a poor start for that country's 2009 soybean crop. The Agriculture Secretariat said Friday that dry soils forced Argentine farmers to halt soy sowing this week in many parts of the farming belt. Crude oil and the stock market limped toward the close Friday after the previous day's collapse to 5-1/2 year lows for the Dow and 3-1/2-year lows in crude oil. CBOT Jan soybean closed $8.40 per bushel, down 16; Dec Soybean Meal closed $249.9/ short ton, down 7.30; Dec Soybean Oil closed 30.70, +7 points. The overnight grains closed modestly lower with beans around 2c weaker, and corn and wheat both down around 4-5c. There's no shortage of feed grain around in the world, and with crude dipping below $50/barrel there doesn't seem to be too much support coming from the ethanol sector either. Front-month corn has retreated from a record high in June of $7.65 and is now back to the level it was trading at the start of last year. U.S. biofuels giant VeraSun went to bankruptcy last month, leading to concerns about the health of the U.S. ethanol industry and its demand for corn. Crude dipped to a 3-year low of $48.25/barrel on more gloomy economic data from the US, before rebounding slightly to $50.75. A U.S. report showed the number of workers filing new claims for unemployment benefits reached a 16 year high. Dryness in Argentina continues to be a concern, with wheat output estimated at around 10.5mmt, down 38% from 16.3mmt last season. Japan bought 91,000mt US wheat in a tender. The Philippines bought 74,650mt feed wheat (unspecified origin, but probably Australian) from Glencore at $144.50/tonne, C&F for shipment in two consignments, one Feb and one Mar/Apr. The same buyers also took 78,450 metric tons of soybean meal from Cargill and Bunge. Interestingly, the Bunge sale was Indian soymeal. Early calls for this afternoon's CBOT session: Corn futures are expected to open 3 to 5 lower; soybeans 1 to 2 lower; wheat 3 to 5 lower. Farmers said it wouldn't last, and they were right. They just didn't think it would end so soon. When the price of wheat, corn, soybeans and just about anything grown in the ground began leaping skyward two years ago, farmers were pleased, of course. But generally they refused to believe that the good times would be permanent. They had seen too many booms that were inevitably followed by busts. Mr. Kinder, who farms about 5,000 acres with his father, James Kinder Jr., and his brother, Kevin, held onto much of his wheat, hoping that prices would go still higher. Instead, they plunged. “I lay in bed at night kicking myself,” Mr. Kinder said. Oklahoma exports two-thirds of its wheat, more than the country as a whole. That worked to the state’s advantage in 2007 and the first half of 2008, as a combination of bad harvests in Australia, the cheap dollar and rising Asian consumption created intense international demand. The state’s farmers responded, naturally enough, by ramping up production. Because of better weather and therefore a better yield, 166.5 million bushels of wheat were harvested in Oklahoma this spring, a 10-year high. And because of the high prices, the crop was valued for the first time at more than $1 billion, nearly twice as much as 2007 and nearly three times as much as 2006. “They made a killing,” said Kim Anderson, a grain economist at Oklahoma State University. Assuming, that is, they sold. The farmers who cashed in at the right moment are acquiring legendary status. “I know a fellow that sold some wheat for $12 a bushel. That was almost beyond belief,” said James Kinder, 74. But his son suspects that most were like the Kinder family: they either did not sell or did not sell enough. It was the same misguided optimism that caused homeowners to think their houses would always keep increasing at a 20 percent annual clip. Farmers across the country fell prey to it. David Kanable at the Oregon Farm Center, a mill near Madison, Wis., was paying $7.25 a bushel for corn in June. “We never had one farmer lock in at that price. They wanted $8,” Mr. Kanable said. On Thursday, the mill was paying $3.17 a bushel. MK One, the 125-store discount retailer previously owned by Hilco, a Woolworths suitor, has collapsed for a second time this year, putting 1,400 jobs at risk. The high street chain, which was put into administration yesterday by its leading creditor, has struggled to compete with other discount retailers, such as Primark. It has been in and out of administrations and restructurings for the past 12 months. MK One’s failure before the peak December shopping season will heighten fears that limping retailers will not even make it through Christmas and that the festive period will be one of the worst on record. Meanwhile, Honda, the Japanese car maker, is to close its UK factory during February and March as its slows production amid plunging sales. French car company Peugeot Citroen has announced plans to shed 2,700 jobs because of falling demand in Europe. General Motors has suspended production for two months and is shedding 258 jobs at its Rayong factory in Thailand. Toyota has also scaled down production at its Thai factory and is seeking early retirement for 340 workers. The number of Britons being evicted from their homes rose 12 per cent in three months, according to the Council of Mortgage Lenders. Cheeky lovable side-splittingly unfunny pwankster Jonathan Woss is to be weinstated to his £6-million-a-year job with the Beeb, after the BBC Trust claimed it is not its wesponsibility to dictate sanctions against pwesenters. Ranker. The number of UK homes falling three months behind on their mortgages rose by 8.2 per cent over the last quarter, while the number of repossessions was up by 12 per cent. Data from the Council of Mortgage Lenders show in the three months to the end of September 1.44 per cent of mortgages – or 168,000 homes - were at least three months in arrears. The CML now predicts the level of homeowners falling into arrears will top 170,000 by the end of the year – ahead of earlier predictions. A total of 11,300 homes were repossessed over the three months – and a total of 45,000 repossessions are now predicted for 2008. Russia is proposing hosting a world grains summit in St Petersburg at the beginning of June 2009, a Kremlin official said on Friday. The summit would focus on the problems facing consumers and producers of grains and food products, the source said, without giving further details. Russian President Dmitry Medvedev pledged to take a leading role in tackling a looming global food shortage during a meeting in July between the leaders of the Group of Eight countries in Japan. He said then that G8 leaders had backed a Russian initiative to convene a meeting of agricultural ministers, followed by a grains summit. Russia, the world's fifth-largest grain grower and exporter last year, expects to harvest its best crop in 15 years in 2008. Russia clearly see some big bucks to be made out of agriculture. Only 13 percent of Russian land is used for agriculture, compared with a world average of 38 percent. The average wheat yield in Russia is less than half that in the EU. Although this years grain crop is the largest for 15 years, the country has yet to surpass Soviet-era production levels on a sustained basis. According to United Nations' forecasts, global food consumption was expected to rise by 50 percent by 2030 and double by 2050, Russia is looking to account for a significant part of this increase. Record prices for crops such as wheat and maize earlier this year sparked a surge of investment interest for farmland in Russia and other countries of the former Soviet Union, which have massive untapped potential. Citigroup's shares slumped 26 percent Thursday; the bank has lost half its value in just four days. The chief executive, Vikram Pandit, will hold a meeting for senior managers Friday to update them on the bank's condition. Some reports suggest that auctioning off parts of the bank, or even the whole thing may be on the agenda. Meanwhile, at the bank's Manhattan offices, television screens have stopped displaying the company's stock price. Traders have begun making jokes comparing Citigroup to the Titanic. The bank has posted four consecutive quarters of losses, caused by billions in write-downs. Nine of its investment funds have cratered this year. And now the bank could face a tsunami of new losses in its once-lucrative consumer loan business as the global economy weakens. However, senior executives say the company is financially strong and has ample financing options. Pandit has followed through on plans to aggressively shrink the company and control costs. The bank has sold tens of billions of dollars' worth of risky assets, improved its capital position and announced plans to eliminate 52,000 jobs by next June. "We are entering 2009 in a strong position, much stronger than we entered in 2008," Pandit said in a speech to employees this week. Yet as the drumbeat of bad news about the bank grows louder, investors remain unconvinced. Its pretty much a case of same sh!t. different day, with grains lower across the board on a "there is no light at the end of the tunnel" mentality. Soybeans, wheat and corn are all 2-4 cents lower on the overnight eCBOT market. Drifting along aimlessly, much like an American astronauts toolbag. The global economic recession continues to be the over-riding factor, over-ruling everything else. Imagine the effect of Somali pirates hijacking a ship containing 2m barrels of oil back in July when prices were pushing $150/barrel. What happens now, nothing, it has no effect whatsoever and crude slumps through the $50/barrel level. Meanwhile Washington faces the thorny problem of the US automakers conundrum. Throw good money after bad and chuck $25 billion at it, only to have them come knocking on the dor again sometime down the road. Or, let them go to the wall now, putting millions out of work and deepening the existing recession. Japan bought 91,000mt US wheat overnight.The Argy wheat crop is expected down around 40% from 16.3mmt to 10mmt. The Australian crop has been hit by rain, meaning more feed grade and less milling. China has said it will buy 10mmt of corn from local farmers to support prices and boost rural incomes. The US corn harvest continues to lag. Crude is below $50/barrel now, and the pound is $1.4930. Corn futures dropped double digits in trade on Thursday. USDA reported 433,800 MT were sold for exports last week which was within trade estimates. VeraSun confirmed their financial troubles when they announced $480 million loss for the third quarter. Weather this week has allowed farmers and producers to ramp harvest back up to get closer to completion. Crude oil pushed below $50 per barrel its lowest level since 2005 era. Dec -15 at 3.63. Soybeans and the rest of the soy complex had steep losses when the final bell rang Thursday. USDA showed 790,800 metric tonnes were sold for export last week and was well above trade estimates of 500,000 to 650,000 MT. Weakness in crude oil and the dollar soaring past the $88 point mark pressure prices sharply lower. Weather has improved this week and should permit producers to wrap bean harvest up by next week. Jan -41 at 8.56; Dec Meal -10.50 at 257.20; Dec BO -1.34 at 30.63. Wheat futures closed lower across the board today, the heaviest pressure in CBOT contracts. USDA reported export sales of 511,000 metric tonnes, slightly above trade estimates of 400,000 to 500,000 MT. Japan is quoted buying 91,000 tonnes of US wheat but also purchased some from Russia. Global wheat production and global fears of worse times to come pressured futures lower. Dec CHI -15 at 5.11; KC -11 5.48 ;MLPS -4 at 6.00. Having been praying for rain all season, just as the combines were ready to roll, rain aplenty has arrived in Victoria. Unfortunately, as in neighbouring NSW and Southern Queensland, its too late to help, but early enough to cause problems. Many crops will be downgraded because of rain damage, says one agronomist. "It's going to start swelling up and it's going to start wanting to germinate," he says. "When that happens it either starts sending it's root out of the seed while it's still in the head." "Then starts turning it's ezymes on to turn to start turning the starch in the grain into sugar and that totally makes the grain unsuitable for baking." "Once that happens it renders it for feed quality." Shares in troubled automaker General Motors hit their lowest level since the Great Depression Thursday (in a nice twist of irony given all the comparisons being thrown around in the media). Shares fell 38% hitting $1.70 on fading hopes of a pre-Christmas bailout. That marked the company's lowest share price since June 4, 1938, when they fell to $1.69. Shares in Ford also took a big hit, falling as low as $1.01, matching a low last set on Aug. 19, 1982. Brent crude crashed through the $50/barrel mark Thursday as equities slumped. January Brent broke the $50 barrier, down $3 at $48.20, its lowest price since May 2005. NYMEX December crude hit $49.91/barrel in afternoon trade. Gold was the only commodity to post a gain as investors flee to a safe haven. Other metals, softs, grains were all sharply lower. Wheat Net sales of 511,000MT were up two and one-tenth times from the previous week and 40 percent from the prior 4-week average. (Est 400-500,000MT). Corn Net sales of 433,800 MT were up 22 percent from the previous week, but down 15 percent from the prior 4-week average. (400-500,000MT). Soybeans Net sales of 790,900 MT were up 65 percent from the previous week, but down 11 percent from the prior 4-week average. (500-650,000MT). Soymeal Net sales of 92,300 MT were down 26 percent from the previous week and 41 percent from the prior 4-week average. (75-125,000MT). Soyoil Net sales of 7,900 MT were primarily for Jamaica (3,200 MT), Costa Rica (1,500 MT), Nicaragua (1,300 MT), and Guatemala (1,200 MT). (5-10,000MT). Troubled ethanol maker VeraSun who reported a sizable loss in the quarter ended Sept. 30, has asked a bankruptcy judge to allow it to void contracts it holds with farmers to buy corn, reports say. The firm agreed the contracts at prices considerably higher than current price levels. For the quarter ended Sept. 30, VeraSun reported a net loss of $476 million, compared with net income of $7.7 million a year earlier. The company reported net sales of $1.08 billion, up from $221.9 million a year earlier. It also said it had $9.2 million in cash on hand as of Sept. 30, down from nearly $111 million just one year ago. The company filed for Chapter 11 bankruptcy protection on October 31st. EU wheat futures are slightly lower with prices seemingly stuck in a narrow range. Although demand remains light, so too is farmer selling. London wheat sees January trading GB P0.25 lower at GBP96/tonne, with January Paris milling wheat EUR3 lower at EUR136.50/tonne. As the charts below show prices seem to have arrested their steep declines and flattened out around current levels. Still, end-users are in no great rush to enter the market either, and both sides seem content to adopt a wait and see attitude. Japan is expected to buy US wheat today in a routine tender, with Egypt also shopping for 55,000mt wheat in the next day or so. The winning origin of that tender will be interesting, although Russia must surely be hot favourites. eCBOT grains closed lower on the overnight session Thursday, pressured by falling equities and weaker crude oil. Beans close 18-19c lower, with wheat and corn down around 8c. The Dow closed below 8000 for the first time in 5 1/2 years last night, and that weakness spilled over into the Asian and European markets this morning. Japan's Nikkei stock average fell 6.9 percent, while Hong Kong's Hang Seng Index slid 4.04 percent. At 11am GMT, Britain's FTSE 100 fell 2.19 percent, Germany's DAX index fell 2.63 percent, and France's CAC-40 fell 3.13 percent. Wall St. looks set to open lower as investors find little relief from worries about the fate of Detroit's Big Three automakers. US crude is bobbling around the $52/barrel level, whilst Brent has been within 30 cents of breaking the magical $50 mark. If we can find time to squeeze some grain fundamentals then: Traders expect this afternoon's U.S. Agriculture Department weekly export sales report to show another week of lackluster trade in corn and wheat while soybean sales are likely to be relatively strong. Dry weather in Argentina is also supportive with Hamburg-based oilseeds analysts Oil World said it was concerned about dryness there. Australia's 2008/09 wheat harvest is running more than two weeks behind normal in some parts of the country because of wet weather that might cut the quality of crops in the South East. Early calls for this afternoon's CBOT session are: Corn futures are expected to open 6 to 8 lower; soybeans 17 to 20 lower; wheat 6 to 8 lower. Arla Foods AmbA, the Danish/Swedish-owned co-op says it expects profits to fall significantly in 2009 as milk prices decline "rapidly" after four years of gains. “2009 will definitely be a tough year,” said Arla CEO Peder Tuborgh. Denmark-based Arla won’t reach a sales forecast of 52 billion kroner ($8.8 billion) this year because of the Danish kroner’s strength against the pound and the financial crisis, the CEO said. The U.K. is Arla Foods’ largest market. The price of skim-milk powder, the benchmark for world trade, has dropped 49 percent this year on the Chicago Mercantile Exchange. That has affected profitability at Arla, Europe’s second-largest dairy company, and the likes of Groupe Danone SA, the world’s biggest yogurt maker, which this month said revenue will rise in 2009 at a rate below its “medium-term” prediction. Quaker Oats has recalled some of their own brand Quaker Oats Original (1.5kg carton) and Quaker 'Jumbo' Rolled Oats (1kg carton) because of the possible presence of a beetle known as the confused flour beetle (Tribolium confusum) in the product. The Food Standards Agency has issued a Food Alert for Information. Can fly but rarely does so. Feeds on flour and cereal products. Its like a cross between Viz, Reuters and the Encyclopedia Britannica this blog. Southeast Queensland got drenched last night with the heaviest rain in many years. Just four days after storms brought damaging winds, hail and heavy rain to the southeast another trough has caused thunderstorms with torrential rain and damaging winds. In just a few hours a massive 243mm of rain fell in Tallegalla, approximately 40 kilometres west of Brisbane. Although the records for this site are incomplete, 243mm smashed the previous highest record of 166mm in 1967. In Gatton 170 millimetres was recorded, the heaviest 24hr total since 1992, and the heaviest November rain since 1898. Ipswich received 157mm, the heaviest since 1991, and largest November one-day total in 67 years. Closer to the coast Brisbane received 79mm, their highest total since February 2004. This brings Brisbane's total rainfall for this month to 250 millimetres, already 150 millimetres above the long term average. Analysts are saying that the rain has come at exactly the wrong time for ripened wheat ready to be cropped, and could well lead to some quality downgrades. Reports are coming in of recently cut wheat that has "shot and sprung" (sprouted in the head) from Queensland and Northern NSW. Wheat of this type is now only suitable for feed, which will put further pressure on barley and sorghum prices. Feed wheat is currently priced around A$70-A$90/tonne below milling wheat, traders said. NWF have announced that they are now manufacturing a high quality protein source NWF ULTRA SOY, which, as a result of precise treatment of the extracted soya bean meal, contains a much higher level of Digestible Undegradeable Protein (DUP) which increases its value in ruminant diets. This product is manufactured at Wardle in the company's recently commissioned plant, under a strict quality control procedure. It is available in bulk Ex Wardle or on a delivered basis, for further information please contact the NWF trading team on 01829 262 342. EU countries have forged an agreement to revamp their farm support policy with increases in milk quotas and cuts in subsidies for production, European diplomats say. The compromise deal was reached after marathon talks by EU farm ministers in Brussels. "We have reached a near-unanimous accord," said French Agriculture Minister Michel Barnier, whose country holds the EU's rotating presidency until the end of the year. The changes expand on the major reform of the EU's controversial Common Agricultural Policy (CAP) in 2003, pushing European farmers further into the world of supply and demand with a smaller safety net of subsidies linked to production levels. The ministers notably agreed to progressively lift milk quotas for farmers -- in place since 1984 to limit production -- before abandoning them entirely by 2015. Specifically, the quotas would be raised by one percent for five years. At the other end of the scale, some countries, like Italy, want their quotas to disappear immediately, and Rome was given a dispensation allowing it to raise its quotas by a one-off five percent as soon as next year. There was also agreement on the thorny issue of reducing subsidies directly linked to farm production and switching the funding to projects to protect the environment or revitalise rural areas. 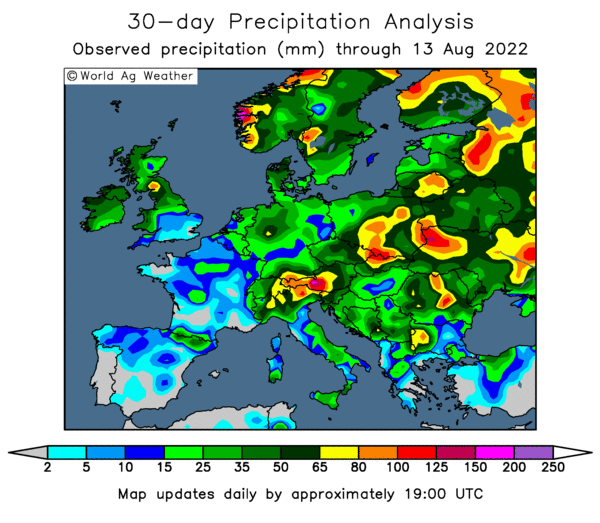 In Europe, locally heavy rain has persisted in the past week across England, France and Italy, providing additional topsoil moisture for emerging winter wheat and rapeseed crops while slowing late summer crop harvesting, according to USDA's Joint Ag Weather Facility. 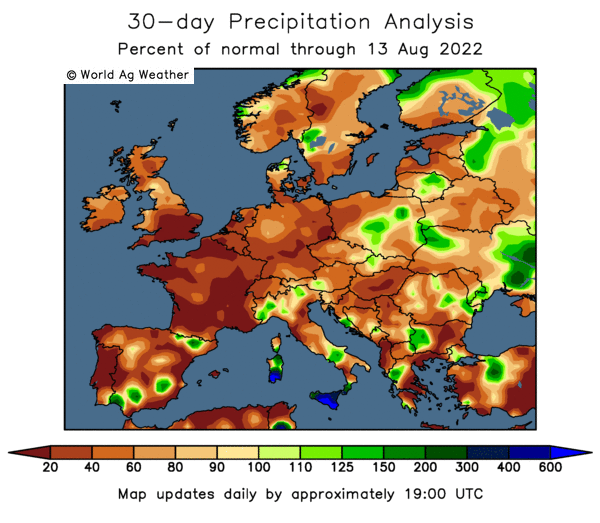 Dry weather, meanwhile, dominates the Balkans region, promoting winter wheat planting and emergence. In the FSU, winter grains are easing into winter dormancy across northern regions of Russia, and dry weather continues to be the rule in Ukraine and southern Russia, helping with late-season summer crop harvesting. In East Asia, seasonably dry weather is easing wetness for winter rapeseed in the Yangtze River Basin while light showers are providing favourable moisture for winter wheat on the North China Plain. In Southeast Asia, Tropical Cyclone Noul brought heavy showers to the Central Highlands of Vietnam in the last week, slowing coffee harvesting. Seasonably dry weather, meanwhile, aids rice and corn harvesting in Thailand, and showers in Indonesia are favouring the developing rice crop. In South Asia, Tropical Cyclone Khai-Muk is hampering summer crop harvesting in southeastern India. In the Middle East, generally sunny skies are promoting development of winter crops. In Australia, mostly dry weather domiantes the wheat belt, favouring maturation and harvest efforts. Sunny weather in eastern Australia is benefiting crops in the germination and emergence phase. In South America, seasonal rains improved planting prospects for soybeans and other summer crops throughout central and northeastern Brazil while warm and dry weather persists in Argentina’s eastern and southern summer grain and oilseed areas, reducing moisture for emerging corn, sunflowers and soybeans. The EU's Farm Council Wednesday failed to reach a decision on the marketing of products containing a type of genetically modified soybean. The GM soya variety MON-89788-1, also known as 'Roundup Ready 2 Yield', has already been approved in nine countries including China and the US. However, Agriculture Ministers from the EU's 27 member states meeting in Brussels sent back the dossier for authorisation for import of the bean. The soybean is manufactured by US biotech giant Monsanto, who claim the bean gives increased yields which would help farmers keep up with global demand. In October, Ukraine set a new record in export volumes of rapeseed. During the month, the country shipped 522,000 tonnes of the oilseed, an increase of 5% compared to September, 2008, and almost two-and-a-half times the amount exported in October 2007, say IA APK-Inform. The Netherlands (181,000 tonnes), Belgium (97,500 tonnes), France (79,000 tonnes), Poland (63,000 tonnes) and Spain (20,000 tonnes) were the main recipients of the oilseed in October. Crude is lower, now within sight of $50/barrel, and that is dragging everything else down with it. US crude is almost a dollar lower at $52.69/barrel this morning as US demand continues to wane despite falling prices. Brent is now at $50.84/barrel. Supplies rose 1.6 million barrels, 0.6 million more than expected, to 313.5 million barrels last week, the Energy Department said Wednesday afternoon. US fuel demand during the past four weeks averaged 19.1 million barrels a day the report said, down 7 percent from a year ago. Asian stocks are lower on news that Japan's exports fell to their lowest level in six years. Japan is also the worlds largest importer of oil. On another day of doom and gloom, its no surprise therefore that grains are also lower this morning, with beans currently 13-14c easier, wheat down 6c and corn down 5c. The dollar is a little firmer which will also be weighing on grains. At 9am GMT the pound was $1.4856, having briefly popped above $1.52 at one point yesterday. Japan is expected to buy 91,000mt US wheat today. Egypt are also said to be in the market for 55,000mt wheat. It will be interesting to see which way that one goes, although Russia must be the favourites with rumours still abounding of quality problems in the Ukraine. It will be a surprise if EU wheat gets the nod, but if so that may help LIFFE futures a little later today. Anyone not having finished their Christmas shopping yet should pop into Woolies at lunchtime, slap a pound on the counter and take whatever they wanted. Rolls-Royce has said it plans to cut between 1,500 and 2,000 jobs in 2009. The firm also said it was in talks about a planned cut of 140 jobs at its Assembly and Test facility in Derby. Rolls currently employs about 39,000 people worldwide, of whom 60% work in the UK, but it did not give further details of where jobs might be lost. The company announced in January it would cut 2,300 jobs during 2008. The company says it plans "to adopt a similar approach in 2009." To show his commitment to the cause, the head of Chrysler famously slashed his pay to $1 in the 1980's in exchange for financial assistance from the US government. To his credit, earlier in the week, Robert Nardelli COE of Chrysler this time round, said he would do the same again. At a tense meeting on Capitol Hill yesterday the CEO's of GM and Ford were repeatedly asked if they would be prepared to make the same symbolic gesture, as they desperately hold out their hands for $25 billion. Only fair, methinks, the buck ultimately stops with them, and they've dug themselves into the crock of smelly stuff that they presently find themselves in. They don't want the cash for themselves you understand, its for the people, the economy, their employees and their families. The very lifeblood of America is at stake here, stand up and sing your hearts out for our brave boys in Afghanistan, we the proud people of America are the greatest country on earth. It's about freedom, democracy, for every man, woman and child, whatever their race. For the one-legged five year old Mexican orphan living in a sewer and begging on the streets of San Fransisco who hasn't eaten for a week. JUST GIVE US THE F***ING MONEY!! So, I'll ask you again, would you work for a $1 salary to show the people your commitment & belief? "I'm willing to do what I've been doing," said Rick Wagoner of GM. "I understand your point about the symbol. But I think, not just for me, but we're trying to fill a skilled and motivated team," fudged Alan Mulally of Ford. Just answer the f***ing question Mulally. "I think I'm OK where I am." Crude oil futures fell to a 22-month low after a U.S. government report showed that inventories climbed more than forecast as fuel demand dropped. Supplies rose 1.6 million barrels to 313.5 million barrels last week, the Energy Department said. Stockpiles were forecast to rise by only 1 million barrels. U.S. fuel demand during the past four weeks averaged 19.1 million barrels a day, down 7 percent from a year ago. Crude oil for December delivery fell 77 cents to close at $53.62 a barrel at 2:41 p.m. on the New York Mercantile Exchange, the lowest settlement since Jan. 22, 2007. Futures have dropped 64 percent since reaching a record $147.27 on July 11. EU wheat futures closed a tad lower Wednesday in quiet subdued trade. Paris January milling wheat closed down EUR0.25 at EUR139.50/tonne, whilst London January feed wheat ended down GBP0.75 at GBP96.25/tonne. The market is largely dead and looks set to remain that way until after the new year, said one trader. Still, EU markets appear to have found their level, which is a better scenario than months of daily price falls. Rangebound is better than downtrend, as far as sellers are concerned. London feed wheat is hovering around the GBP95 mark, whilst Paris milling wheat is stuck around EUR138-142/tonne. Weakness in the pound is making UK wheat attractive on the export front, although with an exportable surplus of 3-4mmt, it still seems likely that there will be a large carryover into the 2009 crop. Next seasons wheat crop will undoubtedly be lower, but by how much remains open to wide conjecture. In the UK the NFU, DEFRA and other leading authorities say by only 2-3%. Some would suggest that the NFU & DEFRA don't know their arse from a hole in the ground and live in an ivory tower, but not me of course. Other private estimates say more like 3-7%, Nogger suggests 10%+ but everyone seems to think he's criminally insane. Pretty much like they did early on in the year when he threatened to show his arse in Burton's window if wheat didn't move substantially lower. But no-one like a smart-arse. AgResource peg global production down 5% next year. 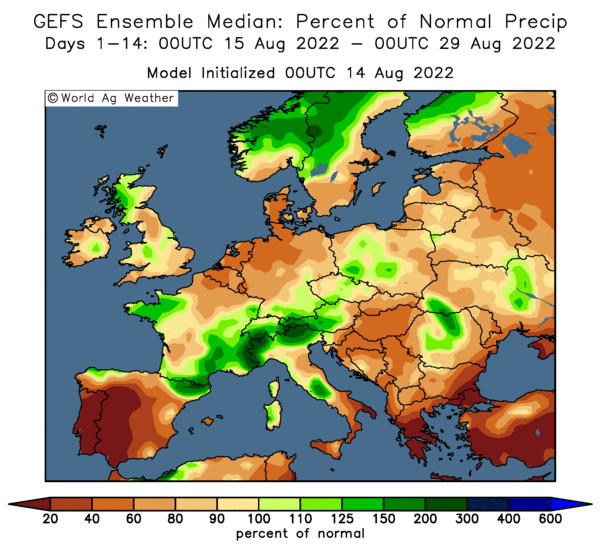 It seems unlikely to me that Mother Nature will be so universally kind to wheat this time round, although it could happen, lower plantings AND lower yields suggest a world crop 10-15% lower in my opinion. We are, of course, a very long way off from knowing the reality of the situation yet. Corn futures finished just a smidge lower in nearby months. Smaller range of trading and other quiet grains and outside markets limited losses. Exports of corn are slowing giving bears some incentives to keep prices from moving higher. Weather is favorable for harvest and should allow producers to make leaps in progress compared to last week. Corn is working sideways, trading on both sides of steady with lack of fresh fundamental news. Outside markets are relatively quiet this morning, not lending too much directional support. Dec -1 at 3.78. Soybeans closed lower in most contracts with quiet trading Wednesday. Beans may be range bound through the holiday season due to the lack of fresh bullish or bearish news. Crude oil wass off slightly, during grain trading hours and the dollar showed some firmness pushing above 87 points, both contributed to weakness in futures. Basis is attempting to firm as farmer selling has been tight with reluctance to sell at 'cheaper' prices. Jan -5 at 8.97; Dec Meal +.30 at 267.70; Dec BO -.31 at 31.97. Wheat futures closed lower at the different wheat exchanges during mid session trade, MLPS experienced the most pressure. No immediate threat to US winter wheat as late fall growing conditions have been ideal. The fact of a world record wheat crop can not be shrugged off, some foreign countries with robust production could easily flood the global market for wheat, creating US more expensive especially with the recent soar in the US dollar. Forecasts for Russian wheat production are up more than 30% from 2007. Dec CHI -2 at 5.27; KC -1 5.59; MLPS -11 at 6.04. Somali pirates have today released a Hong-Kong based freighter and its 25 man crew captured two months ago. The MV Great Creation was seized on Sept 18th and is now on its was to Abu Dhabi. A spokesman for the pirates said, "we had to let them go, we couldn't tell which one was which, they kept beating us at cards and were always putting this melamine stuff in our milk." At least I think that's what he said, it was a bad line. European stock markets are lower on concerns that ailing US automakers will be allowed to go to the wall. GM and Chrysler are said to be set to run out of cash possibly as soon as Christmas, with Ford Motors not far behind. Any potential bailout of the US auto industry appears to be going to have to wait for Barak Obama to sanction when he formally takes office in January. The markets are worried that one or maybe more of the US Big Three will be gone by then. The FTSE 100 index of leading British shares was down 98.62 points, or 2.34 percent, at 4,109.93, while Germany's DAX was 153.73 points lower, or 3.36 percent, at 4,425.74. The CAC-40 in France was down 71.12 points, or 2.21 percent, at 3,146.28. In the UK, one of the days biggest losers was DSG International, the owners of PC World and Currys, down over 17% to a new low of 13.25 pence, after Citi analysts slash their price target on Europe's second-biggest electrical goods retailer and amid jitters ahead of interim results next week, following a gloomy update from Carphone Warehouse. In Germany BASF has said it will temporarily close 80 plants worldwide due to a "massive" demand decline in key industries, particularly the auto industry. BASF shares led declines in the DAX, down 16% on the day. Immigration officers have arrested 27 workers at a halal chicken processing factory in Preston. It is understood that they are being held on suspicion of offences including illegal entry into the UK. The number of people arrested accounts for about half of the Gafoor Foods-owned plant's workforce. The workers are from countries including India, Pakistan, Afghanistan, Belarus, Iraq and Jordan. Halal: permissible under Islamic law. So presumably working as an illegal immigrant IS permissible under Islamic law? Pilgrim's Pride, the largest chicken producer in the US, has announced it is to cut some 335 jobs from its US operations in a desperate bid to reduce costs. It is understood the lay-offs will take place by the end of the month. Employees affected will be notified within the next week. Pilgrim’s Pride said the job cuts come because of the toughest operating environments in decades. The company’s share price has plummeted from a high earlier this year of US$29.55 to just 33 cents yesterday. Analysts Fitch Ratings said yesterday that Pilgrim’s bonds were trading as though the market was expecting bankruptcy. Pilgrim’s failed to make a US$25 million interest payment on 3 November and is exercising a 30-day grace period to meet the debt, they say. After a disastrous year coping with the volatility in the grains markets, the company was put under further pressure last week following the announcement by arch rivals Tyson Foods that it would not cut its poultry output despite the sector posting huge losses. The overnight market closed mostly steadier with soybeans up 5-6c, corn around 1 1/2c firmer and wheat flat around unchanged. Support comes from an overnight freeze in parts of Argentina, whilst dryness also in Argentina is causing delays to soybean plantings. In Brazil Planting of the soybean crop is also under way. Celeres said 55 percent of expected acres have been planted, a little behind the year-ago pace of 60 percent and even with the average. Farmer selling remains light says Celeres with only 20 percent of the 2008/09 soybean crop sold so far, compared to 32 percent last year and 29 percent for the 5-year average. Chinese demand is also supportive. The most-active soybean contract on China's Dalian exchange finished up more than 3 percent Wednesday with a volume of more than 600,000 lots. In the US the corn harvest continues to lag well behind, with more than 20% of the crop still in the fields as of Sunday. Rain and snow continues to hamper farmers efforts to get the remainder of the crop into the bins. Japan is expected to buy around 100,000mt US wheat in a tender to be concluded tomorrow. Early calls for this afternoons CBOT session: Corn futures are expected to open steady to 1 higher; soybeans 4 to 6 higher; wheat steady. Yields of non-organic wheat could fall from an average of 9 tonnes a hectare to 4 tonnes a hectare sometime between 2040 and the end of this century as the planet runs out of phosphorus, a key part of the fertiliser needed to grow non-organic crops, says one scaremonger. 85% of the known deposits of phosphorus are in four North African countries: Morocco, Algeria, Tunisia and Egypt. The world is using the 4 to 8 billion tonnes of phosphorus left at the rate of around 125 million tonnes a year, they say. Research by the University of Newcastle, under the EU's Quality Low Input Food Programme, shows that yields of non-organic wheat can drop to well below organic yields from nearly 8 tonnes a hectare to 2.5 tonnes a hectare without phosphate fertiliser. These estimates are based on expected yield reductions, if no further phosphates are applied from 2070 for 30 years. Organic yields without phosphate would be 6 tonnes a hectare. The price of mineral rock Phosphate has increased by more than 500% over the last two years. Over the last 40 years, use of nitrogen, potassium and phosphate fertiliser has increased by 5 to 7 times, but yields have only doubled. So crops use fertiliser 2 to 3 times less efficiently now compared to 40 years ago. This is in part because breeding for conventional farming has produced varieties with smaller root systems, and because the microbes in the soil which help plants use fertiliser efficiently are inhibited by the use of artificial fertiliser. At the Soil Association's National Conference - Food and Farming in 21st Century Britain - Professor Carlo Leifert said "For the last 50 years industrial farming has been relying on phosphate mined in North Africa in ever-increasing quantities, while using this scarce resource less and less efficiently. Scarcity of phosphates are driving up the price, and sooner or later, as we inevitably start to run out of phosphates, non-organic yields will start a dramatic decline. Organic farming will also face problems, although not on the same scale, and the solution would be for organic farmers to use human sewage as fertiliser." Peter Melchett, Policy Director of the Soil Association said "The Secretary of State for the Environment, Hilary Benn, said at the Soil Association Conference that 'fossil fuels will eventually run out' and that the Government are now committed to making 80% cuts in greenhouse gas emissions. The new threat of phosphate shortages and yield losses add to the urgency of moving our food production from a reliance on imported oil, gas and phosphates, and reliance on artificial nitrogen fertiliser." Pirates hijacked a Thai fishing boat with 16 crew members off the coast of Somalia, the eighth ship to be seized in the area in the past two weeks, a maritime official said Wednesday. The Thai boat was seized Tuesday in the Gulf of Aden, said Noel Choong, who heads the International Maritime Bureau's piracy reporting center in Kuala Lumpur. Also Tuesday, an Iranian bulk-cargo carrier with 25 crew members was seized in the area. Both vessels were heading to the Middle East when they were hijacked, he said. Tuesday's incidents bring the number of attacks in Somali waters this year to 95, with 39 ships hijacked. Seventeen vessels remain in the hands of pirates, including a Ukrainian ship loaded with arms and a Saudi Arabian supertanker carrying $100 million in crude. Separately, the Indian navy reported that one of its warships destroyed a suspected pirate ship that had opened fire in the Gulf of Aden. 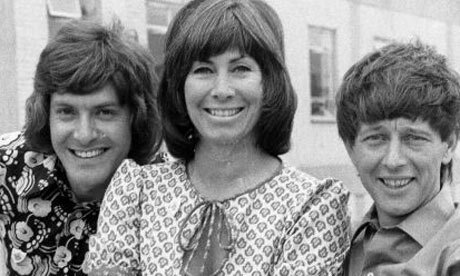 Blue Peter are putting out an appeal to replace the destroyed pirate vessel and provide it with a a top-of-the-range TomTom SatNav system. The Bank of England's interest rate setters voted unanimously to cut interest rates from 4.5% to 3% on 6 November, but considered a bigger cut. The minutes from the meeting show that they decided a bigger cut would risk shocking the markets too much. But there were suggestions that there may be further cuts in interest rates in the coming months. The one-and-a-half percentage point cut was the biggest since 1981, taking rates to the lowest level since 1955. The minutes said that rates might have to be cut to 2.5%, or even lower, to stop inflation falling too far below the Bank of England's target next year. The heads of the Big Three automakers of Detroit pleaded on Tuesday for emergency government aid to stave off potential collapse, but largely it appears met with stoney resistance and little sympathy. Senate Democratic leaders said they had not been able to muster the support for legislation that would provide $25 billion to the troubled auto industry from the Treasury Department's $700 billion economic rescue fund. "We have little evidence that $25 billion will do anything to promote long-term success," said Senator Michael Enzi, Republican of Wyoming. The chief executives of GM and Chrysler said their companies were using up their cash at a rate that could leave them close to insolvency by the end of the year. GM's chairman, Rick Wagoner, said: "the societal costs (of a Big Three failure) would be catastrophic — three million jobs lost within the first year, U.S. personal income reduced by $150 billion and a government tax loss of more than $156 billion over three years." This has the look of an express train out of control to me, I think the speed of the demise of the Big Three from here on in will shock the world. THE grain harvest has begun across much of Victoria, marked by poor quality levels in many early crops. Graincorp corporate affairs manager David Ginns said the first wheat was harvested near Mildura last week, and the barley harvest was well under way across most of the Mallee. "Some has made malting quality, but a lot will only be feed," he said. Mr Ginns said rain delayed the harvest in central Victoria by five days and caused damage to some hay that had been drying on the ground. Strong wind, hail and rain also damaged barley crops south of Horsham. Mr Ginns said the canola harvest had begun in the north of Victoria and southern NSW, with farmers windrowing crops. "Oil levels have been disappointing," he said. "The quality has been variable with levels ranging from 28 to 35 per cent." The eCBOT market is a little higher overnight with beans up around 10-11c, corn around 2-3c firmer and wheat around 1/2c higher. Corn and wheat crops were damaged by an overnight freeze in Argentina, analysts say. Eduardo Sierra, the weather forecaster for the Buenos Aires Cereals Exchange, said that the cold had harmed newly planted corn in Buenos Aires province. Almost 750,000 acres were affected, with one farmer in the northern part of the province lost 80 percent of his crop, according to Sierra. The area planted with the 2008-09 corn crop in Argentina will be the smallest in more than a decade after dry weather and government export restrictions discouraged farmers, the exchange said Nov. 14. Wheat output may drop 36 percent to 10.5 million metric tons, from 16.3 million tonnes in the 2007/2008 season, the exchange said. Other analysts put the wheat crop potentially even lower in the 9-10 million tonnes bracket. Crude is a tad lower ahead of stocks data from the US Energy Dept due later today. the figures are expected to show stockpiles increasing by around 1m barrels as fuel demand in the world’s largest user declines. At 8.45am London time December crude was 14 cents lower at $54.25/barrel. The pound is little changes at $1.4980 before the Bank of England releases minutes of its meeting on Nov. 6, when it cut interest rates to the lowest level since 1955. An American Soybean Association and US Soybean Export Council survey indicates that this season's US soybean crop has the lowest protein content on record. At just 34%, the average protein content of US soybeans represents the single-lowest level found since the survey was initiated in 1986, says the report. Precipitation levels reaching 150-300% of normal across much of the western half of the U.S. soybean belt are largely to blame the report concludes. EU wheat futures closed Tuesdays session with little change, recovering from earlier losses later in the day as Chicago held support. Global wheat production in 2008-09 is now forecast at 683 million tonnes, up 7 million tonnes from IGC's previous forecast a month ago and 32 million tonnes above forecast consumption for 2008-09. Export interest remains slow, with Japan tendering today for 91,000mt US wheat. The Philippines are also tendering for wheat, which will also most likely be filled with US wheat. Bangladesh are in the market for 100,000mt wheat, which will probably go to Russia. EU farmers are largely concentrating on finishing up planting the winter crop, and are now unlikely to return to the market as sellers until the new year. Corn futures closed 5 to 7 cents lower Tuesday. Corn is working sideways, trading on both sides of steady with lack of fresh fundamental news. Trade does not seem too worried about 22% of the corn crop still in the field. Weather is shaping up and little precipitation dropped over the weekend and may allow farmers to resume harvest. Basis is quoted all over the place, all depending on competition and demand for grain. Dec -5 at 3.80. Soybeans did finish softer Tuesday as profit taking and. Beans, like corn are almost range bound, beans have not ventured too far from the $9/bu bench mark recently. Kinder weather conditions than last week should allow farmers to finish soybean harvest up this week. Dry weather in the in parts of Brazil and Argentina is forcing farmers and producers to delay bean harvest until conditions improve. Dec crude oil did put in a new low for the year at $53.96/barrel. Jan -4 at 9.02; Dec Meal -3.90 at 267.40; Dec BO -4 at 32.28. Wheat futures pushed lower along with corn and soybeans in Tuesday trade. Outside markets did not have a big movement day today either, but did weigh in on prices. Crude oil was softer and the dollar index pushed higher. Taiwan reportedly purchased 42,820 metric tonnes of US wheat. Winter wheat is not being stressed and has endured near ideal fall growing conditions. Reports of a Hong Kong cargo carrying 36,000 metric tonnes of wheat has been hijacked off the Gulf of Aden. Dec CHI -4 at 5.2; KC -4 at 5.61; MLPS -7 at 6.15. Just when you thought that things couldn't get much worse for the Baltic Dry Index, along comes two Somali hijackings in the space of a couple of days. First we had the Sirius Star, carrying 100 million dollars of oil. Now we have the Hong Kong-flagged Delight carrying 36,000 tonnes of wheat to Iran's Bandar Abbas port. The BDI was at 865 in late trade Tuesday, down 40% in a month and an incredible 93% down from it's high of 11,793 on 21st May this year. Somali pirate activity could lead to even fewer fixtures, and a further softening of freight rates elsewhere in the world as shipowners look to avoid the Gulf of Aden. The Royal Navy earlier handed over eight Somali pirates to Kenyan authorities to prosecute after they were captured at sea last week. The HMS Cumberland spotted a dhow which had been identified in an attempt to hijack a Danish vessel, the MV Powerful. The British vessel attempted to stop the dhow but an exchange of fire broke out in which two suspected Somali pirates were killed by Royal Marines. Just a couple of days after pirates seized the Sirius Star carrying 100 million dollars of oil, a Hong Kong ship loaded with wheat bound for Iran has been hijacked by Somali pirates in the Gulf of Aden. The Delight, with 25 crew members on board, was captured off the Yemen coast at around 6 a.m. GMT Tuesday and is currently sailing towards Somalia, an official at Hong Kong's Maritime Rescue Coordination Centre told Reuters. The crew members on the Delight are from Iran, Pakistan, Indian, the Philippines and Guyana, the official said. They were carrying 36,000 tonnes of wheat to Iran's Bandar Abbas port. Nationalised mortgage lender Northern Rock expects to be responsible for 10% of all repossessions this year, analysts say. Gary Hoffman, the new chief executive, admitted some customers were in such difficulty that they handed back the keys to their homes without discussion with the lender. One third of all the homes it had repossessed were "voluntary", said Hoffman. The bank's repossession rate is running at three times the industry average and is largely caused by its controversial Together loans, essentially mortgages of 125% of the value of a property. While Together loans represent just under 30% of Northern Rock's mortgage book, they account for 50% of its arrears and around 75% of all repossessions. Trading on the São Paulo commodities and futures exchange was uneventful on Monday compared with the violent market swings of recent months. But all that changed when a trader in one of the open outcry pits attempted to commit suicide on the exchange floor. As the day drew to a close in Latin America's biggest financial market, Paulo Sérgio Silva, a 36-year-old interest rates futures trader with Itaú, Brazil's biggest bank, pulled out a pistol and shot himself in the chest, causing panic and scattering colleagues. According to colleagues, Mr Silva suffered from depression for which he had recently taken time off work. He was given first aid at the scene before being rushed to a nearby hospital where he was operated on immediately. He remains in a serious state in an intensive care unit. Reminds me of the story of the man who had the ice cream van on the prom at Otterspool being found dead splattered in whipped cream, nuts, strawberry sauce and hundreds and thousdands. Police reckon he topped himself. eCBOT closed with soybeans down 8-9c, corn down 5c and wheat down 5-7c. More than 20% of US corn is still in the fields. Corn continues to reflect a number of issues faced this year in many of the major U.S. growing areas. Out of the 18 largest production states, only North Carolina and Tennessee have finished harvesting. From the remaining 16, only Colorado, Indiana, Kentucky and Texas are above 90% done. One major analytical firm sees increased corn and soybean planting next year. Informa Economics expects corn planting to be up around 900,000 acres from this year at 86.8 million acres, and has soybeans at 77.2 million acres, an increase of 1.3 million. Those year to year increases would be due to strong demand from a number of sources, including feed, food and fuel. The acres are primarily expected to come out of wheat, with Informa anticipating a 2.9 million acre decrease for all types, down to 60.1 million acres. Early calls for this afternoons CBOT session: Corn futures expected to open 3 to 5 lower; soybeans 6 to 9 lower; wheat 5 to 7 lower. EU wheat futures are a little easier in quiet trade Tuesday, with London Jan feed wheat down 50p at GBP96.50/tonne whilst Paris Jan milling wheat is down EUR1 at EUR138.75/tonne. 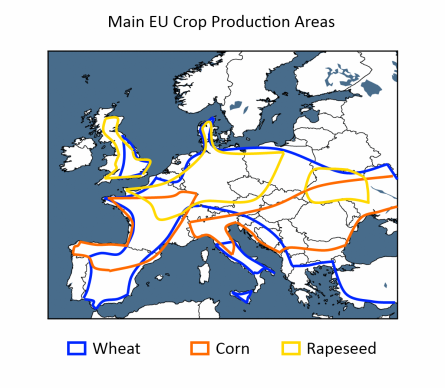 There is very little export trade to report for EU wheat. Japan are tendering today for 91,000mt US wheat. The Philippines are also tendering for wheat, which will also most likely be filled with US wheat. Bangladesh are in the market for 100,000mt wheat, which will probably go to Russia. Yields remain a concern in 2009 due to the high price of inputs, particularly fertiliser. Although urea prices have reported fallen by over £100/tonne (or circa 25%) in the last month, other ferts have yet to follow suit, giving rise to talk of price-fixing and cartels*. 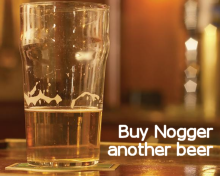 Reports are reaching Nogger Towers of some merchant stores full of expensive fertiliser that nobody wants, whilst the market is (unsurprisingly, given everything else that's happened) poised to drop like a stone. "I wouldn't be long of a free 5grm sachet in an Interflora flower delivery," said one wag. The Australian Oilseeds Federation has cut its estimate for Australia's largest oilseed crop, rapeseed, to 1.401 million tonnes, from the 1.505 million tonnes forecast a month ago, citing a mixture of high temperatures and insufficient rain in eastern states. This latest crop estimate would still be 31 percent higher than last season's harvest of 1.069 million tonnes. ABARE recently cut its Australian canola output estimate by around 20% to 1.3mmt. That is 320,000mt lower than last months estimate of 1.62mmt. "A lack of spring rainfall across Victoria, South Australia and southern New South Wales has resulted in a marked deterioration in the major winter crops," the Canberra-based government forecaster said in a report. Australia is normally the worlds third largest exporter of rapeseed, but may have to import seed this year some analysts are saying. Premium pork supplier and pet food maker Cranswick Plc on Monday beat analyst expectations with a 5 percent increase in first-half profit and said it believes cost pressures have peaked. The company said profit before tax rose 5 percent to 18.5 million pounds ($27.39 million). Sales increased 9 percent to 321.2 million pounds to the period ending 30 September as the company increased the range of products it supplies across all segments, from premium to value. "Whilst enormous cost pressures have been experienced, and dealt with, over the past year the signs are that this inflationary element has peaked," said Martin Davey, Cranswick chairman, in a statement. UK wheat breeder KWS UK report it has seen a jump in demand from farmers for its white wheat variety Zircon, following an appeal from Weetabix for more of the grain to be sourced in the UK. Weetabix says that white wheat makes a sweeter, paler flour than commonly used red wheat varieties, and it will be used in its ‘minis’ range. Weetabix says it will pay a premium of £15 a tonne over the feed grain price, plus £10 extra haulage, for Zircon wheat. Openfield, the newly merged business, are said to have already have accepted an order from Weetabix to supply 7,500 tonnes of Zircon a year for the next three years. For some strange reason, this story reminds me of the time (ex) Mrs N#1 kept prattling on about wanting a diamond eternity ring for an anniversary present. Well, times were hard, and she was no jewelery expert Mrs N#1, so I went off into town and bought her a nice cubic zircona jobbie. Approximately the size of the koh-i-noor diamond this thing was, but for something like twenty five quid. Now, she loved that ring did Mrs N#1, she remarked on what an incredible amount I must love her to buy her such an extravagant present, and it was a sure sign that we were indeed meant to be together forever (it wasn't, it didn't and we weren't). But that just goes to prove that as long as she believed it was what it wasn't then who was there to hurt? Unfortunately I came home from work one day to find that Mrs N#1 had been stupidly doing the dishes wearing said ring, and said 'diamond' had fallen out. But all was not lost, the cubic zircona koh-i-noor was so big the bloody thing didn't go down the plug hole! Mrs N#1 had subsequently rescued it and, fearful that I might chastise her for foolishly doing the dishes in such an expensive ring, immediately rushed off into town to have it repaired. Where, sadly, she heard the truth about the quality of my love token. It was largely downhill after that. The merger of farmers' co-operatives Grainfarmers and Centaur Grain has been completed after the deal received court approval late last week, a spokesman said on Monday. The new company, Openfield, expects to handle around 20% of the UK grain market and will be a direct competitor of the Cargill/ABF love-child Frontier. Not content with getting a 45c/gallon tax-break for everything they produce, US ethanol makers are now imploring the US government to tie any potential bailout of the US auto industry to the increased production of ethanol-friendly vehicles. Describing the proposed bailout as "probably a good thing," Robert Dineen, the president of the Renewable Fuels Association, went on to ask for more: "How about a more specific commitment to flex-fuel vehicles" or "some additional infrastructure for e-85 (a high-ethanol blend fuel)?" How about you make you industry stand on its own two feet Mr Dineen? I thought I saw his name on the side of a loaf of bread in Asda yesterday, then I realised I didn't, it just said Thick Cut. As several noticed judging by my inbox this morning, I was away across the weekend & Monday, so there were no blog headlines yesterday. I went down to Devon in fact & managed to amuse myself on the long & arduous journey down from North Yorks by clocking how many fields en-route appeared to have been left fallow across the winter. OK, its not exactly a scientific approach, but one wonders if its any worse than the one adopted by the NFU. As one farmer & blog reader who emailed me a few weeks ago pointed out, in his opinion the NFU planting & yield figures are heavily southern biased. Certainly the NFU suggestion that winter wheat plantings are only down 2-3% for the 2009 crop is one I would take issue with. So here we go, travelling around North Yorks, as I have done extensively recently, I'd estimate that unplanted acres here are some 10-15% down on last year. I hear that this is similar, if not even slightly higher further north, although I myself haven't ventured into the wastelands of Northumbria & beyond. Travelling to Hull a few weeks ago I'd say plantings on Humberside were maybe around 7% down. South Yorkshire things aren't as bad as North Yorks, I'd say maybe 5-7% down, Notts/Derbys/Leics likewise. A big surprise to me was Staffs/Warwickshire, loads of fields there with wheat stubble still poking through. In those counties at the moment I'd say 15% unplanted. Beyond that travelling down through the West Midlands through to Bristol area, we aren't talking about a large wheat area, maybe 10% reduction. After that into the South West Somerset maybe a similar amount, 10% down. Devon considerably more, a 15-20% reduction. OK, shoot me, I haven't travelled through East Anglia & the South East here, well you wouldn't en-route from Yorkshire to Devon would you? Still, Yorkshire & Humberside, the East Midlands, the West Midlands and South West account for roughly half of UK wheat production. With also 10% coming from Scotland & the North East, where I also haven't travelled, but I think we can confidently predict that acreage reductions here will be more like North Yorkshire than they will East Anglia. Add on the potential for yields in 2009 to be significantly below the records set in 2008, due to the high cost of fertilisers, and we could easily have a much reduced crop on our hands next year methinks. eCBOT grains are modestly lower Tuesday morning as a firmer dollar hampers export hopes, with corn, beans and wheat all around 4-6c easier. After the close last night the USDA pegged the corn harvest at just 78% done, compared with 97% a year ago. That leaves 22% of the crop still in the field, and shows only a minimal improvement on the week, from 29% last weekend. Rain and snow continues to hamper wrapping up this last 20-30% of corn and could provide some modest support over the next few weeks. By contrast 95% of the soybean crop is in, compared with 98% a year ago. US winter wheat crop conditions dropped two points to 66% good/excellent. Japan is tendering for wheat this week, as too are the Philippines and Bangladesh. The Philippines are also in for soymeal. The dollar is firmer against a basket of currencies, although weaker against the pound at $1.5025. In the current climate the US is being seen as the best of a bad bunch, possibly with the exception of Japan, when it comes to investing. If you want to buy US assets then you need US dollars, its a simple as that. Crude oil is little changed at $54.83/barrel. Prices have arrested their recent steep decline on news of the hijacking of a Saudi Arabian tanker carrying 2m barrels of oil, 450 nautical miles southeast of Mombasa. Australian wheat futures are lower this morning, with ASX January down A$2.50 at A$273/tonne and ASX March A$5.70 lower at A$275/tonne. Downwards pressure comes from last nights weaker CBOT close and also the advancing harvest. Harvest progress in southern Queensland is estimated at 70% complete, and around half done in northern NSW. Rains forecast today/tomorrow in the region will likely slow the harvest however, traders say. Still, farmer selling in this part of Australia remains relatively light, with farmers concentrating on getting the harvest in and into storage. Crude futures closed at their lowest level in 22 months Monday, after an erratic trading session that took prices to a high near $59 per barrel, with energy demand under fresh scrutiny following a climb in U.S. industrial output and data showing that the Japanese economy has fallen into recession. And likely adding to the session's volatility was the expiration of December crude-oil options, analysts said. December crude futures fell by $2.09, or 3.7%, to close at $54.95 per barrel on the New York Mercantile Exchange. It finished at the session's weakest intraday level - a level not seen since late January of 2007. The U.S. Soybean Export Council noted Nov. 17 that oilseeds analyst Oil World has forecast biodiesel production could account for nearly 25% of total soy oil consumption in the U.S., Argentina, Brazil and the E.U. in 2008-09. Argentina and the U.S. are expected to have large biodiesel output growth, the report found. The U.S. is expected to consume around 1.35 million tonnes of soy oil for biodiesel in 2007-08, about 16% of total U.S. soy oil consumption. US bank Citigroup has announced plans for about 52,000 new job cuts, on top of 23,000 cuts already made this year. Citigroup said the 75,000 job cuts represented a reduction of about 20% of its staff, leaving it with 300,000 jobs worldwide "in the near term". EU wheat futures closed modestly higher Monday with Paris January milling wheat closing up EUR0.75 at EUR139.75/tonne and London January feed wheat closing up GBP1 at GBP97/tonne. Once again there was little fresh news, but a weak GBP and EUR was seen as supportive for EU futures. The HGCA said that the protein of UK wheat this season was the lowest for 10 years. DEFRA say that this season's UK wheat surplus is almost 4mmt. That is an astonishing 160% more than last season and highlights the importance of finding new export homes. With Spain buying much more Ukraine wheat this season than ever before, we need all the help we can get from currency to make UK wheat competitive on the export front, or risk carrying over an unprecedented amount of wheat into next season's crop. Corn futures closed modestly higher, with support from crude oil and better than expected export inspections. Private firm Informa Economics estimated 86.8 million acres will be planted in 2009 for corn which is 900,000 acres more than 2008 but was below some trade expectations. USDA reported that 25.02 MB were inspected for exports, which is slightly higher than the prior week. Crude oil initially boosted grain prices but when final bell rang in the grain pits crude oil was lower on the day. USDA backed our theory of little harvest activity last week, only improving 7% from last week to 78% complete. Dec +4 at 3.85. Soybeans traded as much as 26 cents higher but only closed near 10 cents better. USDA indicated that 36.83 million bushels were inspected for exports last week, which was about 2 mb more than week ending 11/6/08 but was within trade estimates. USDA indicated that soybean harvest was 95% complete still lagging last year and the 5 year average. Weakness in the Dollar helped soybean sustain their initial rally. Deliveries against Nov (which expired Friday) totaled 229 contracts. Jan +10 at 9.06; Dec Meal +5.80 at 271.30; Dec BO -28 at 32.32. Wheat futures lost ground Monday with most contracts off more than 20 cents. MLPS experienced the heaviest selling pressure down 26 to 34 cents. USDA reported 14.27 million bushels were inspected versus 13.02 MB last week but was within trade estimates of 13 to 17 MB. Wheat futures were unable to carry the bullish momentum from much of last week's short covering themed trade and couldn't buck global fundamentals. USDA indicated winter wheat is 96% complete but dropped the Good/Excellent rating 22 percentage points from last week, down to 45% Good/Excellent. Dec CHI -20 at 5.33; KC -27 at 5.65; MLPS -34 at 6.23.